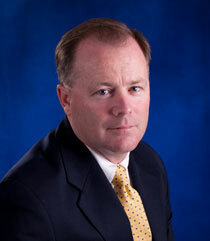 JOHN McDONALD began his legal career in New Hampshire in 1987. He has practiced law in Connecticut since his admission to the Connecticut bar in 1991 and has been a partner of Kernan & Henry, LLP since 1997. Mr. McDonald's primary focus is on cases involving personal injury. He has litigated such cases in every Judicial District in Connecticut. He has also litigated cases in the Federal and Appellate Courts. He also has extensive experience involving Workers’ Compensation cases covering all districts in the State. Born June 1, 1960 in Waterbury, CT. Raised in Middlebury, CT. Attended Pomperaug High School. Married with two children.